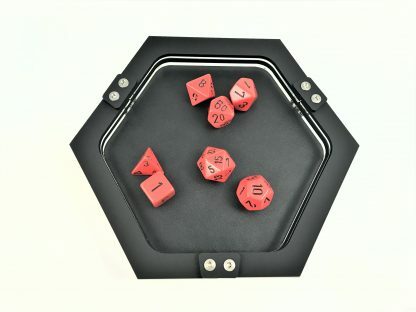 Personal sized acrylic and padded base dice tray made with faux leather for easy cleaning. Constructed with layers of matte black and clear acrylic. 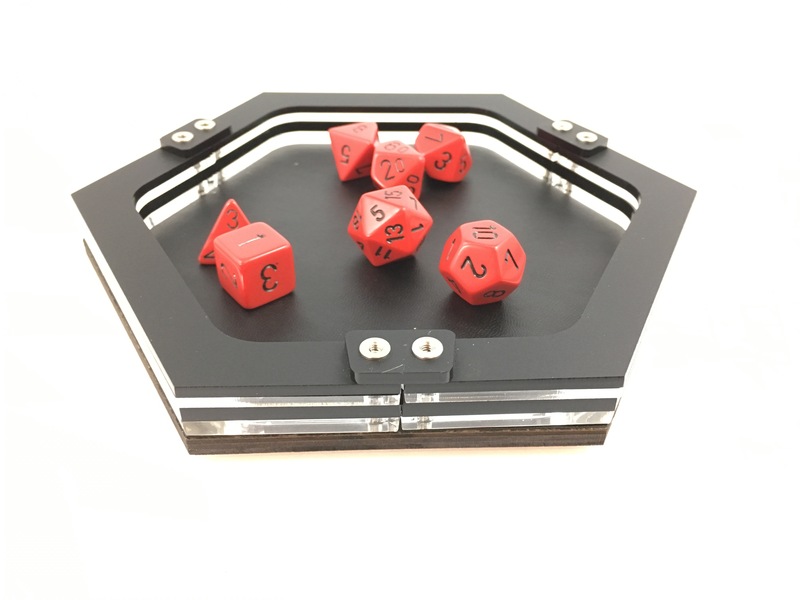 Presenting the mini Umbra Dice Tray. 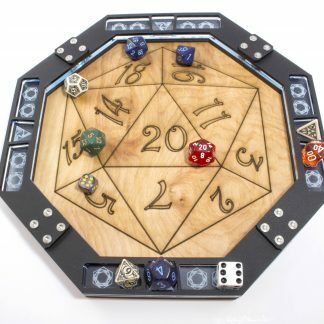 Perfect for limited table space or games that use very few dice. This personal tray was designed with a modern themed combination of black and clear acrylic and a faux leather base to give it a quiet roll. 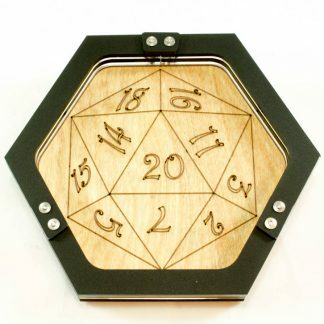 It’s perfect for small games and travel, measuring 5.5” by 7”. Our dice tray line was inspired by those table gamers who like to throw their dice like a cubic death counter, crashing into others’ plastic figures and houses. 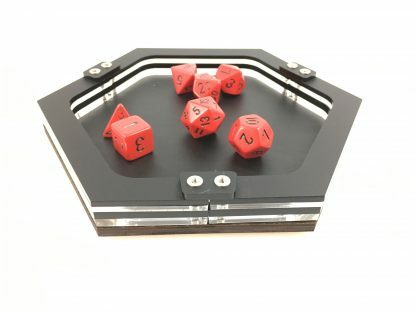 These special trays protect the game by keeping the dice safely in the tray.